You may have heard about Intelligent ERP (Enterprise Resource Planning), but what is it? In two words, CONNECTIVITY and ACCESS. IDC defines Intelligent ERP as ERP applications or suites that use machine learning and advanced analytics built on a large, curated data set to forecast, track, learn, route, analyze, predict, report, and manage these resources and business processes. Intelligent ERP is the new backbone of digital transformation, and it is running today’s and tomorrow’s businesses in an increasingly digital world. Digitalization transformation is the process whereby you become an intelligent, digital business. Existing business models are changing, and your business needs to be ready. Not just to take advantage of the benefits such transformation brings, but also because if you are not interconnected, you risk being out of the supply chain. Digital business is built on new computing infrastructure – the enablers are Cloud, Analytics, Big Data, and Mobile Technologies, accelerated by the Internet of Things (IoT), advances in Machine Learning and innovations like Blockchain. These technologies give your company the ability to change your business models, and create new products and services in the digital economy. In the manufacturing environment, this leads to Smart Factories and smart products. These digital technologies and enablers are impacting all aspects of business and the workplace, society and culture, and our everyday life. They exist and are in use right now. These technologies are also transforming ERP applications and suites – platforms that businesses run on. ERP systems have transformed from decades old, brittle, and cobbled together systems built in the pre-digital era to lighter, flexible, and smarter applications that are driving today’s digital businesses. Businesses ready for tomorrow are seeing and taking advantage of what Intelligent ERP can do. Cloud Computing: Cloud computing is a general term for the delivery of hosted services over the internet. Cloud computing enables companies to consume a computing resource, such as a virtual machine (VM), storage or an application, as a utility — just like electricity — rather than having to build and maintain computing infrastructures in-house. Cloud computing services can be private (in-house using virtual machines, etc. ), public (third-party service delivered over the internet), or hybrid (a combination of both cloud and on-premise with automation between them). Mobile Technologies: Mobile technology is the technology used for cellular communication. It has evolved way beyond early mobile phones to smart phones and embedded devices in machinery that communicate via the cellular network to your ERP system. The real business opportunity lies in allowing operators and technicians to have access to data not just from control rooms, but from anywhere and at any time, using laptops, tablets, smart phones, and similar devices, enabling them to make transactions from almost every place on the earth. Additionally, portable terminals are easier to operate and have a shorter boot time than locally installed user interfaces due to the fact that decentralized devices normally only include the essential range of functions. Big Data: Big data describes any voluminous amount of structured (such as a SQL database), semi-structured (such as streaming data from sensors) and unstructured (such as document files) data that has the potential to be mined for information. Big data has three main characteristics: Volume, often extreme as in terabytes, up to exabytes; Variety, as noted above; Velocity, the speed at which the data must be processed. Because Big data is just that – big – most companies analyzing it use public cloud computing for the task, where they pay only for the storage and computing time need – which can be turned off when not being used. Most companies cannot afford to own and manage the server clusters required for this level of processing. Analytics: Data analytics (DA) is the process of examining data in order to draw conclusions about the information they contain, increasingly with the aid of software. Data analytics technologies and techniques are widely used in commercial industries to enable organizations to make better-informed business decisions. Internet of Things (IoT): The Internet of Things is a network of physical objects – vehicles, machines, equipment, home appliances, and more – that use sensors and APIs to connect and exchange data over the internet. The IoT depends on a whole host of technologies – such as application programming interfaces (APIs) that connect devices to the internet. Other key IoT technologies are Big data management tools, predictive analytics, AI and machine learning, the cloud, and radio-frequency identification (RFID). When it comes to manufacturing, this is expanded to Industrial Internet of Things (IIoT), which is the use of internet of things technologies to enhance manufacturing and industrial processes. IIoT harnesses the data from sensors and machine to machine (M2M) communication and automation that already exists in industrial settings – and has done for many years. The Europeans call this Industry 4.0, a nod to the “Fourth Industrial Revolution”. It uses machine learning and big data technology to create smart machines that are better than humans at accurately and consistently capturing, analyzing, and communicating real-time data. All to enable companies to pick up on inefficiencies and problems sooner, saving time and money and supporting better business decisions. In manufacturing, this means greater management of quality control, supply chain visibility and efficiency, and the potential to report on and manage green and sustainable practices. In an industrial setting, it is the key to Predictive Maintenance (PdM), better field service, energy management and asset tracking. Machine Learning: Machine learning (ML) allows software applications to become more accurate in predicting outcomes without being explicitly programmed, by building algorithms that can receive input data and use statistical analysis to predict an output while updating outputs as new data becomes available. The process requires searching through data to look for patterns and adjusting program actions accordingly. Algorithms are built by data scientists, however a platform such as SAP Business One, on which OptiProERP is built, comes with some algorithms already built and available, and more are being built all the time. Smart Factories: A smart factory is a highly digitized and connected production facility that relies on smart manufacturing, which is a technology-driven approach that utilizes internet-connected machinery to monitor the production process. The goal of SM is to identify opportunities for automating operations and use data analytics to improve manufacturing performance. Extensive use of industrial internet of things (IIoT) sensors and devices provide much of the enabling technology, while increasingly sophisticated analytics and smart applications based on AI and machine learning take over much of the routine management tasks, enabling workers, managers and executives to focus on handling exceptions and making sound strategic and tactical decisions. The defining characteristics of the smart factory are visibility, connectivity and autonomy. Factories have long relied on automation, but smart factories take this concept much further and are able to run without much human intervention. Through the use of modern technologies, the smart factory systems can learn and adapt, especially using Digital Twins, in near real time or real time, enabling factories that are far more flexible than those of the past. Digital Twin: A digital twin is a virtual representation of a product. It can be used in product design, simulation, monitoring, optimization and servicing and is an important concept in the industrial Internet of Things. Digital twins are created in the same computer-aided design (CAD) and modelling software that designers and engineers use in the early stages of product development. The difference with a digital twin is that the model is retained for later stages of the product’s lifecycle, such as inspection and maintenance. Sensors connected to the physical product can collect data and send it back to the digital twin, and their interaction can help optimize the product’s performance. Blockchain Technology: A blockchain is a growing list of records, called blocks, which are linked using cryptography. Each block contains a cryptographic link to the previous block, along with a timestamp and data, which means the data in any one block cannot be changed without changing all blocks. Since these blocks are used to record transactions between multiple parties, the consent of all parties is required to authenticate a change in data, i.e. it must go back to the source to be changed. This means efficiency in making the transactions, and makes them secure and verifiable. Other technologies: There are some other cool, connected technologies we will discuss in later blogs, such as Augmented Reality. So how does this relate to Intelligent ERP? Intelligent ERP or iERP is a term coined by IDC to cover ERP solutions that utilize data along with predictive analytics to help businesses compete in the digital age. iERP differs from legacy solutions because they’re specifically designed to automate and optimize business processes through machine learning and advanced analytics. All of these characteristics of Intelligent ERP are driven and supported by the above digital technologies and enablers. Intelligent ERP is not new. However, the full progress, potential, and impact of Intelligent ERP is yet to be realized from the vendor and user perspective. From the vendor perspective, very few vendors and ERP solutions out there are future-ready or intelligent. Most ERP solutions were built in the pre-digital era. The vendors that don’t adapt will continue to face a growing threat from new emerging vendors and a growing risk of becoming old and obsolete and being replaced by innovative solutions. This is already happening. From the business user perspective, the ERP marketplace is already seeing businesses move towards smarter, flexible, and future-ready ERP solutions. Trade Arabia contributor Monzer Tohme noted that ERP vendors are moving away from pre-built interfaces to develop highly-connected systems that will fully integrate with other core systems. This compatibility will help organizations cope with managing multiple locations and better track the transformation of raw materials through to finished goods. 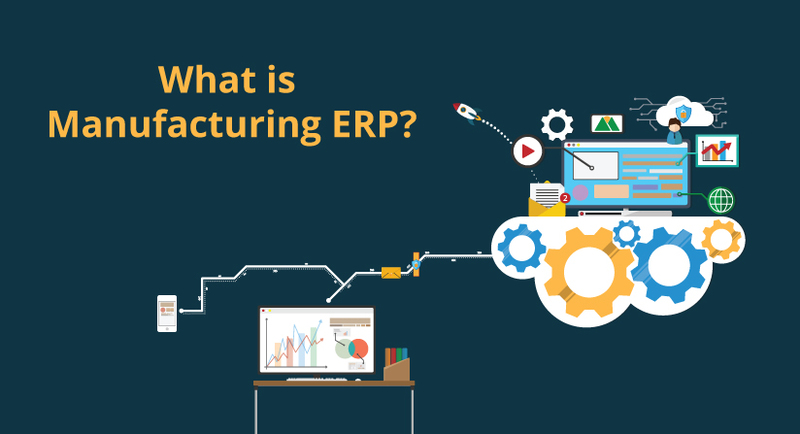 The ERP system will become the backbone of the network; connecting smart machines, logistics systems, production facilities, sensors and devices, as products and machines communicate with each other and exchange commands as products move through the production line. Is Intelligent ERP right for you? All of these new technologies have the potential to transform your business, however you may well ask “How will my staff access these, where will they see the information, how will they manage it all?” The obvious answer is “Right where they work now, within your ERP system.” So the big question is “Is my current ERP system capable of being a full part of my digital transformation?” Chances are, it isn’t. Few ERP systems currently in use have the ability to do this and fall short of the capabilities of what an Intelligent ERP can do. But importantly, the leading vendors and solutions have at least some of these capabilities. Most businesses are either asking themselves if they are ready for Intelligent ERP or taking steps to readying themselves for intelligent ERP, whether actively or passively. Whether it is by adopting a cloud ERP deployment, mobility, eCommerce, or a keener focus on customer experience, these are all steps towards adopting Intelligent ERP and specialities of Intelligent ERP solutions. Did you learn what you needed to about intelligent ERP? What other questions do you have? You can chat with us, email us at optiproinfo@optiproerp.com, or find us on social media. In the meantime, here are more resources on Intelligent ERP.